Our Family has had roots in livestock and its relationship to agriculture for over 50 years. We showcase this facet of farming life with our Little Seedling Ranch and the associated Livery. 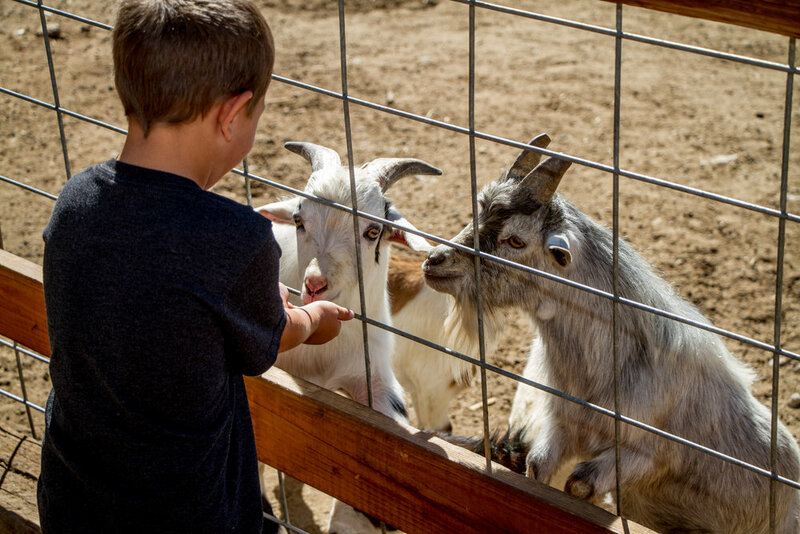 Come Join the herd of goats and sheep in our animal interaction pen. Feed freshly chopped veggies to the Rabbits, Goats, Sheep, Llama, miniature horses, and pigs. Explore our pioneer cabin or sit in the shade of an apple tree. Climb the straw bale fort or rope a steer head with a real lasso. Take a short walk and lead ride on one of our trail seasoned horses. 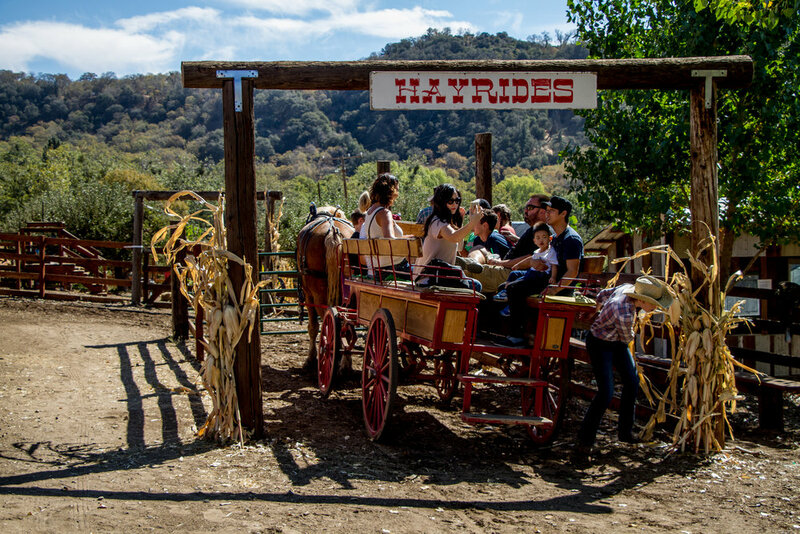 Horse drawn wagon rides leave every half an hour to wind through historic orchards with sweeping vistas of farmland and rugged mountainsides. All activities are weather dependent and subject to change at the discretion of management. We offer a variety of Birthday packages to suit the occasion. Below you will find a PDF with our current packages and pricing. If you have any questions please email us using the link below or Call Us at (909)797-1005.